ROGERS PARK — The Chicago police commander who said he was used to South Side policing and "dangerous places" was reassigned last week to command the city's Wentworth Police District. The shuffle was the second time in a week that Rogers Park's top cop had been shifted to another post. Pat Camden, a spokesman for the Chicago Fraternal Order of Police, said it was "unusual to have a new commander moved in under a week." 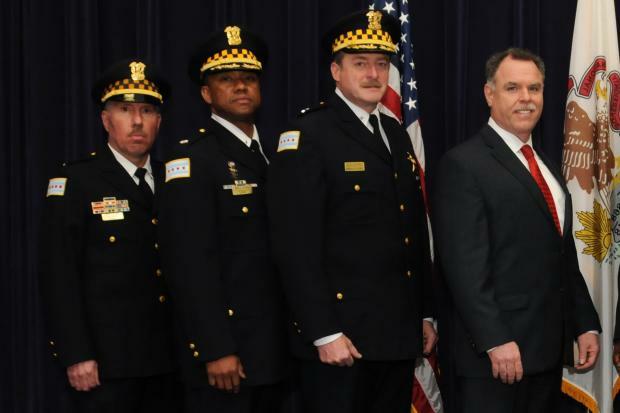 The Chicago Police Department announced Thursday that Thomas Waldera, a 26-year police veteran who had commanded the Area North Gang Enforcement Unit since 2005, would replace Terrence Williams. Williams hadn't been on the job for more than a week after replacing former Cmdr. James Roussell, who was promoted abruptly to a post overseeing other district commanders. Bernard Garbo, a CAPS beat facilitator in Rogers Park, said he had "no idea" why the change was made so quickly and there had been limited notice of it. "I have nothing against Williams," he said. "But Waldera is a much better choice for us." Garbo said Waldera would be more familiar with crime issues in the neighborhood. At a meeting with Devon Avenue business owners last week, Williams said he was "learning the lay of the land" after working in mostly South Side districts. Adam Collins, a Police Department spokesman, said it was Williams' experience on the South Side that led to his transfer to the Wentworth District. The retirement last week of Joseph Patterson, the Police Department's patrol chief, sparked the series of promotions and transfers, including that of Williams, Collins said. Beat facilitators and Rogers Park Police District Ald. Joe Moore (49th) and Ald. Debra Silverstein (50th) said they'd miss Roussell. Silverstein said she'd worked with Waldera on gang- and drug-related problems in West Ridge. To beat facilitator John Warner, the change in commanders came as a surprise. "He will definitely be missed," Warner said of Roussell. "He was a very hands-on commander."